Marriott has a large worldwide presence, with more than 6,000 hotel properties spread across the globe. There are plenty of amazing Marriott properties (as well as flight options) where you can redeem your hard-earned Marriott Bonvoy points. Let’s take a look at some of the best ways to redeem your Marriott points. While there is plenty of value in using Marriott points to book hotel nights, there’s a whole world of flight redemptions to explore here too, so let’s get started! You have tons of ways to earn Marriott Bonvoy points thanks to a number of credit card options. If you hold these cards, you will earn an annual free night certificate on your account anniversary that can be used at properties costing up to 35,000 points per night. This is a solid perk that can make these cards keepers in your wallet for a long time. You can also earn Chase Ultimate Rewards through one of several credit card options. You can then transfer these Chase points to Marriott at a 1:1 ratio. Thanks to the numerous bonus categories with Chase cards, you can earn points very quickly. Marriott has 30 hotel brands that include luxury, high-end, and mid-tier properties. Image courtesy of Marriott. Marriott has a wide variety of hotels across 30 brands, so you won’t have any trouble finding a hotel that fits your needs. If you’re into luxury stays, visit one of their JW Marriott properties. If you’re on the road and need a comfortable bed for the night, Courtyard Hotels might be right for you. You can book award stays with each of these Marriott brands using your Marriott points. The required number of Marriott points for an award stay is determined by the category of a given hotel. Award redemptions book you a standard room. Keep in mind that for all of the partners, you’ll receive a bonus of 15,000 Marriott points for every 60,000 Marriott points you transfer. Most of the partners transfer at a 3:1 ratio, but not all. If an airline falls into the 3:1 category, that means for every 60,000 Marriott points you transfer, you will receive a 15,000 Marriott point bonus that boosts your transfer to 75,000. These 75,000 points will in turn be transferred at a 3:1 ratio, so you’ll get 25,000 airline miles with 60,000 Marriott points. The most you can transfer in 1 day is 240,000 Marriott points. 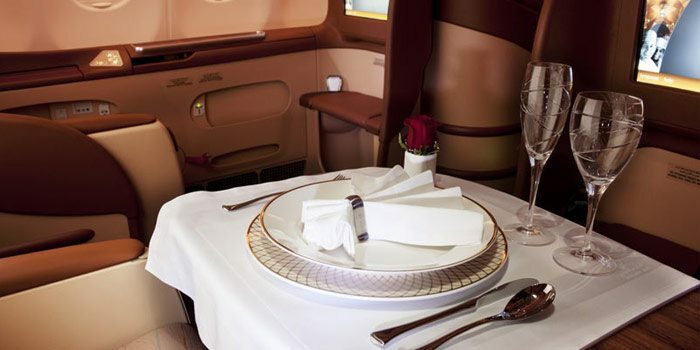 Emirates first class. Image courtesy of Upgraded Points. 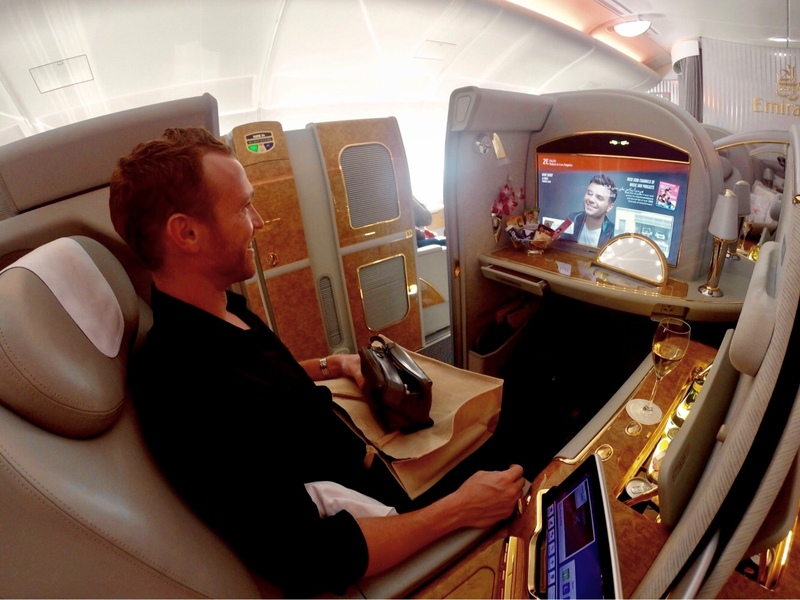 Emirates first class is a favorite award redemption for almost everyone. Using Alaska miles was without a doubt the favorite program for booking these flights until the huge devaluation in early 2016. Now, there’s a better option that is often overlooked. 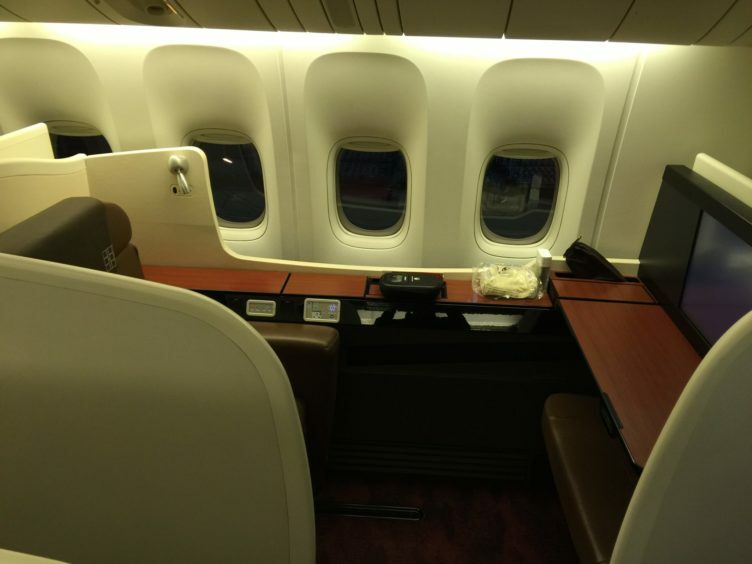 With Japan Airlines’ Mileage Bank program, you can fly first class on Emirates between the U.S. and the Middle East for 120,000-135,000 miles one-way. If your award costs 120,000-135,000 JAL miles, you will need to transfer 300,000-330,000 Marriott points. Keep in mind that a round-trip booking will include up to about $1,716 in taxes and fees. You can avoid fuel surcharges by changing your departure country to one that limits/restricts fuel surcharges. Keep in mind also that you will not be able to utilize the Emirates chauffeur service and First Class Lounge unless you redeem with Emirates Skywards Miles. Need help booking? Check out our step-by-step instructions on how to book Emirates First Class! Cathay Pacific has a great first class product! Image courtesy of Upgraded Points. Alaska Airlines provides some amazing opportunities to enjoy premium cabin products. You can use 70,000 Alaska miles for a one-way first class ticket between the U.S. and Southeast Asia. To take this flight in business class, you would only need 50,000 miles. 50,000 Alaska miles is equivalent to 120,000 Marriott points, and you’ll get 75,000 Alaska miles with 180,000 Marriott points. If you think that’s a great first class deal, then you’ll love this: for no additional miles, you can continue to South Africa after a stopover in Hong Kong. Business class to South Africa is 62,500 miles, which is equivalent to 157,500 Marriott points. This means you’re essentially getting a bonus business class flight from Hong Kong to Johannesburg (they don’t have a first class cabin on this flight). Need help booking? See our step by step guide for booking Cathay Pacific first class. Japan Airlines first class. Image courtesy of Upgraded Points. 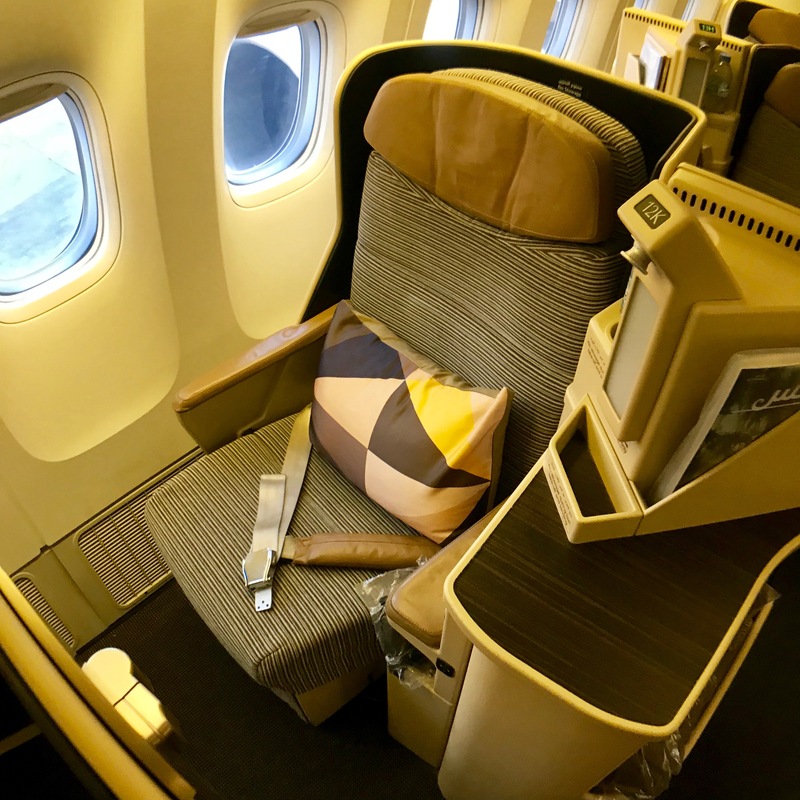 A recent addition to the Alaska Airlines Mileage Plan program, you can now experience Japan Airlines’ great first class product for 70,000 miles from the U.S. to Asia one-way. You can also try business class to Asia for 60,000 miles one-way. You’ll get 75,000 JAL miles for 180,000 Marriott points, and 60,000 JAL miles is 150,000 Marriott points. Not only does Japan Airlines have a great first class product, but the service is fantastic. If you’re looking for a relaxing way to visit Asia, don’t forget to get check out this amazing option. Need help booking? See our step by step guide for booking Japan Airlines first class. One of the best ways to cross the Pacific is in first class on Qantas. Image courtesy of Qantas. 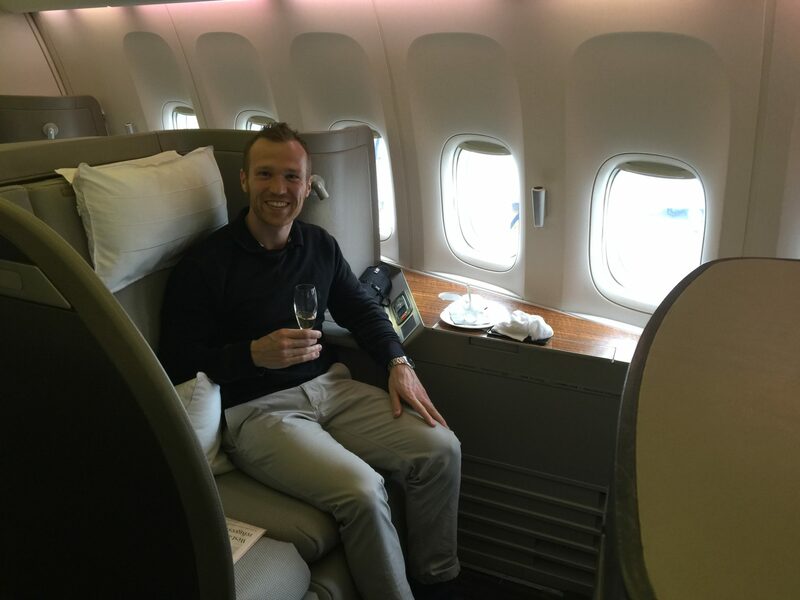 While not the easiest award ticket to get, Qantas first class definitely should be on your bucket list. For 70,000 miles, you can fly from the United States to Australia or New Zealand in luxury. For 180,000 Marriott points, you’ll get 75,000 miles (transfer minimums mean you can’t hit 70,000 exactly). Long considered one of the top airlines in the world, you definitely won’t be disappointed by the Qantas first class experience! Need help booking? See our step by step guide for booking Qantas first class. 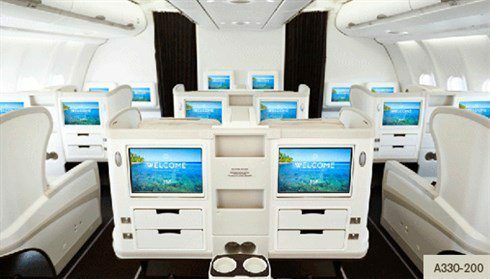 Cross the Pacific in first class on Fiji Airways. Image courtesy of Fiji Airways. If you’ve ever thought about visiting Fiji or another island in the South Pacific, check out the business class product on Fiji Airways. For only 60,000 miles one way, you can fly from the States to the South Pacific in business class. 60,000 miles is equivalent to 150,000 Marriott points. 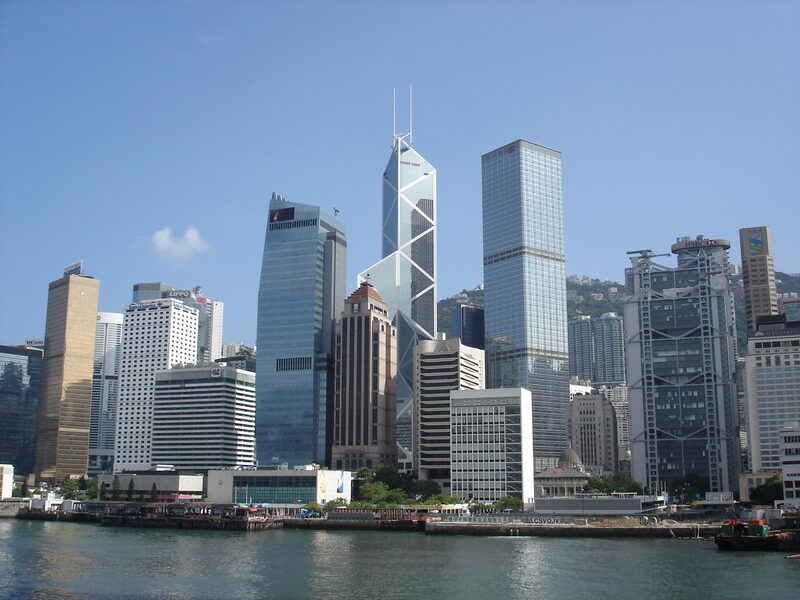 Enjoy a stopover in Hong Kong when flying Alaska partner Cathay Pacific. Image courtesy of Hainan. If you’re looking for a solid lie-flat seat to South America, check out LATAM’s business class product for only 60,000 miles. While South America is a notoriously difficult region if you want a quality business class product, LATAM provides an option on several routes. Next time you’re looking for a flight to the region, don’t forget the great value of this award booking. Again, 60,000 miles is 150,000 Marriott points. One of Alaska Airlines’ newer partners, Hainan Airlines provides a great way to get to China from several gateway airports in the United States. 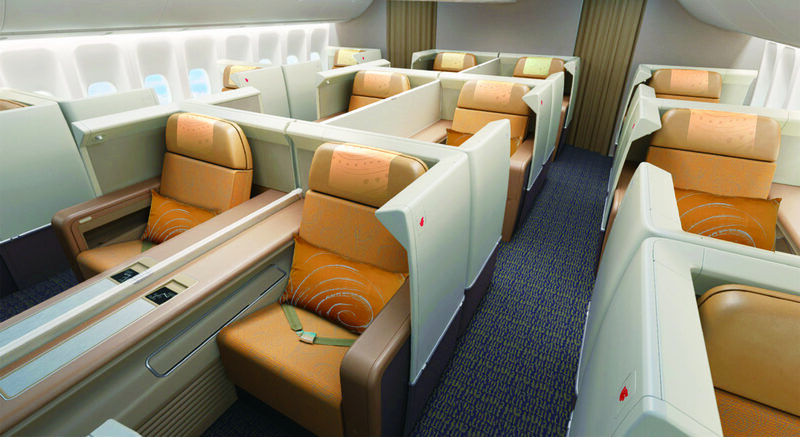 For only 50,000 miles one-way, you can fly business class on Hainan to many cities in China. While not as well-known as some of Alaska’s other partner airlines, Hainan is a solid option next time you’re traveling across the Pacific. 50,000 Alaska miles is equivalent to 120,000 Marriott points. Enjoy a stopover in Hong Kong when flying Alaska partner Cathay Pacific. When booking a one-way ticket with the Mileage Plan frequent flyer program, you have the option to include a stopover on your journey. As we noted earlier, you can include a stopover in Hong Kong on your way to South Africa on Cathay Pacific. This is a great way to easily add a second city to your travel plans. Remember to look into stopover options when booking with Mileage Plan; it’s one of the best ways to get the most out of your miles. Perhaps the best first class “seat” in the sky is The Etihad Apartments. Calling it a seat is an understatement; each Apartment is really more of a room, and the experience is pure luxury from start to finish. For 115,000 AA miles, you can fly The Apartments from New York City to Abu Dhabi. 115,000 AA miles are transferred from 285,000 Marriott points. If you can’t make it to New York City for a flight, you can still enjoy Etihad’s highly regarded first-class cabin from several other U.S. cities. To try Etihad’s business class product, you can use 70,000 American miles to fly from the U.S. to Abu Dhabi. You can get 70,000 plus a bonus 5,000 AA miles from 180,000 Marriott points. You can also fly The Apartments between the Middle East and Australia for only 100,000 miles, which equals 240,000 Marriott points. If you’re building a fun adventure around the world, you’ll be happy you included this! To book this flight, you’ll need to visit Etihad’s site and find “Guest First” space. Once you find space, you can call the Australian call center for American Airlines to place a hold on the ticket. With a ticket held, you can call a U.S. call center to complete the booking. Need help booking? See our step by step guide for booking Etihad first class. Use your points to fly Cathay Pacific first class! Image courtesy of Upgraded Points. Considered by many to be one of the top first class experiences in the world, you can get a taste of Cathay Pacific’s first class product on this 6-hour flight between New York City and Vancouver. A one-way flight will only cost 55,000 American miles, which can be earned by transferring 135,000 Marriott points. The easiest way to find award space is to search on the British Airways website. Once you find space, you can call American Airlines to book the flight. Need help booking? Check out our step by step guide for booking Cathay Pacific first class. If you already have some American miles, consider topping off with a transfer from the Marriott program. For 80,000 American miles, you can fly from the U.S. to Japan in first class. 80,000 AA miles is equivalent to 195,000 Marriott points. As we discussed earlier, Japan Airlines not only has an amazing product, but the in-flight staff are top notch. You won’t be disappointed by this experience! 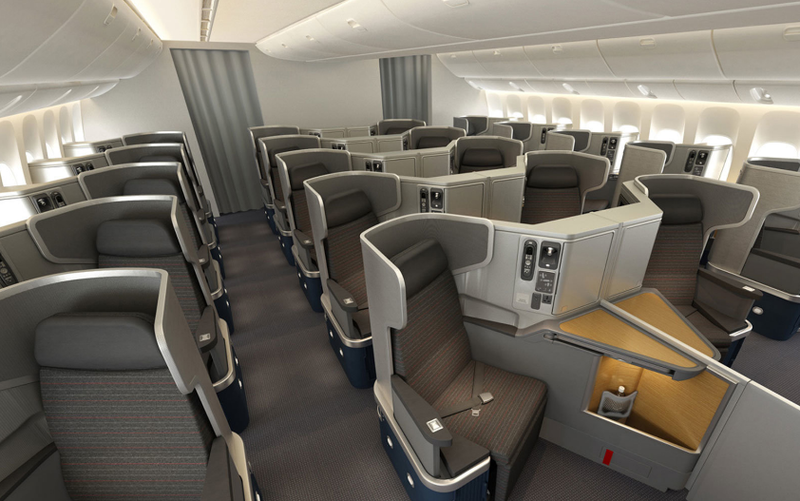 You can also book Japan Airlines business class for 60,000 American miles. More options for Japan? Here are the best ways using points and miles to fly to Japan. Check out the sought-after business class seat on Qantas. Image courtesy of qantas.com. Most of us want to visit Australia at some point in our lives, so why not fly there in style? 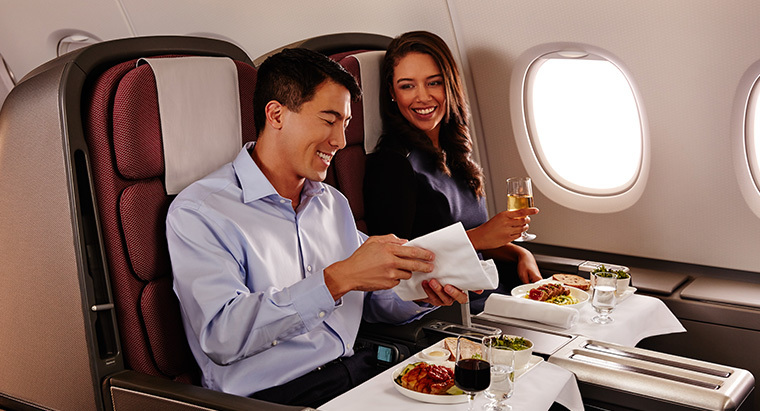 For 80,000 miles you can enjoy a great business class experience on Qantas, one of the world’s top airlines. 80,000 AA miles is 195,000 Marriott points. Like several partners of American Airlines, you will need to find availability on Qantas’ website, then call to complete the booking. Start looking early as award space is often sparse. Need help booking? Check out the best ways to book Qantas business class. For only 40,000 American miles, you can fly between the Middle East and Japan or South Korea in business class. This provides a great opportunity to try Qatar Airways’ fantastic business class product. Remember that 40,000 AA miles can be earned by transferring 105,000 Marriott points to American Airlines. 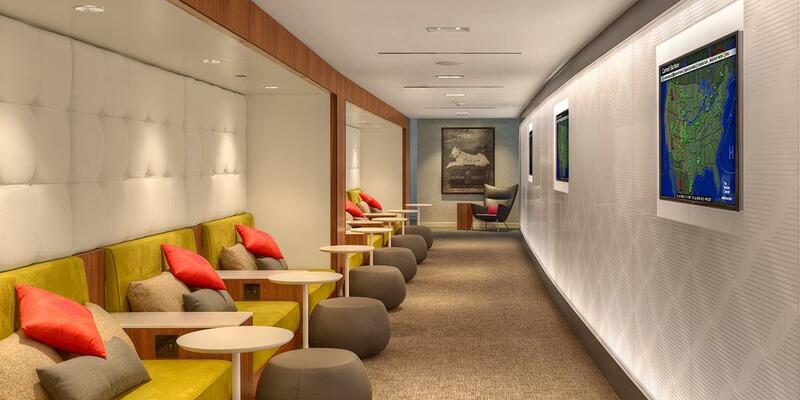 If you’re departing from Doha, you will also be able to enjoy Qatar’s excellent business class lounge. Without a doubt, one of the best ways to use the Flying Blue frequent flyer program is to book Promo Awards. Every few months, Flying Blue runs 25%-50% award discounts on flights to and from different European cities. Ever since Air France/KLM removed their award chart and went to a variable award system, it’s been difficult to predict how much awards will cost. The lowest award prices can be attained from the Flying Blue calculator. With a 25% discount, a business class flight to Europe is anywhere from 39,750-50,675 miles. While Flying Blue does pass on surcharges on award bookings, these Promo Awards can still provide some great options. 39,750 Flying Blue miles is equal to 104,250 Marriott points, while 50,675 miles is equal to 122,025 miles. A second way in which Flying Blue really stands out is its definition of the European region: countries like Algeria, Israel, Morocco, and Tunisia are included. This means you can book one-way business class flights from 53,000 miles, or only 21,500 miles one-way in economy. If you see a Promo Award to one of these countries, that can take this deal to another level! So don’t forget Flying Blue when you want to visit Israel or North Africa — you might be able to get an amazing flight for a steal. Remember that one-way business class flights from 53,000 miles are 129,000 Marriott points, and one-way economy class flights from 21,500 miles are 60,000 points. 60,000 points will actually get you a total of 25,000 miles, which is over the 21,500 miles necessary. 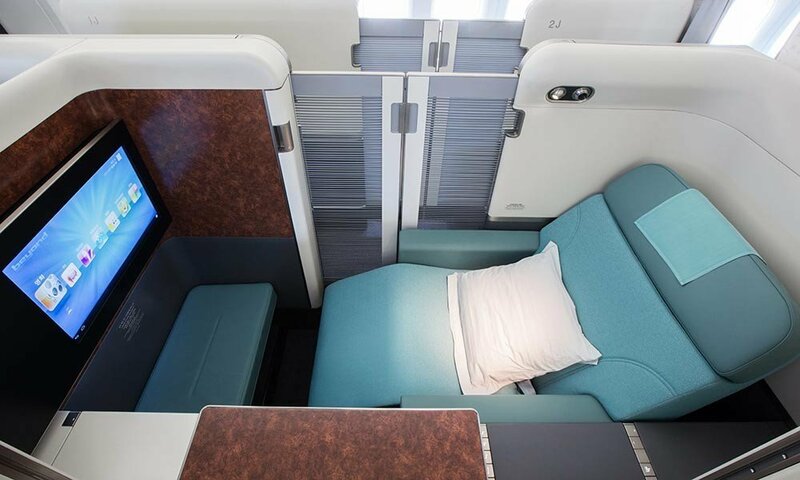 Korean Air’s newest first class product is the Kosmo Suites 2.0. Image courtesy of Korean Air. If you’re looking for easy access to first class award space, look no further than Korean Air. For 80,000 miles you can book an off-peak, one-way ticket in first class to South Korea. If you’d like to see Japan too, you can book a stopover in Seoul on your way to Tokyo. 80,000 Korean Air miles can be acquired by transferring 195,000 Marriott points. While you can’t book Korean Air first class with partner miles, this actually ensures there is more award space available. So take advantage of that to book an amazing first class experience! Need help booking? Check out our step-by-step guide to booking Korean Air first class. A fun (but often forgotten) way to get to from Los Angeles to Tahiti is on Air France. 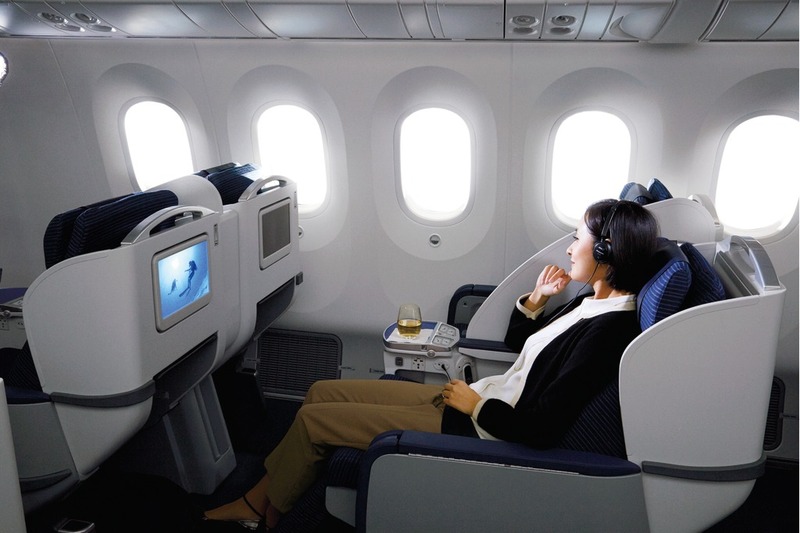 You can use 90,000 Korean miles for a round-trip journey in business class or 60,000 miles in economy. You will receive 90,000 Korean Air miles by transferring 225,000 Marriott points. You’ll notice we mention the round-trip cost for this award; that’s because Korean Air requires round-trip bookings for partner airlines. You can book a one-way, but it will cost the same as a round-trip…so we strongly recommend a round-trip award! While many programs will charge over 100,000 miles for a round-trip business class flight to Europe, Korean Air only charges 80,000 miles. For 50,000 Korean Air SKYPASS miles you can book a round-trip in economy, which is an absolute steal! This applies to any of their SkyTeam partners from Delta to Air France to Aeroflot (yes, Russia is included in the European region). Korean Air does pass on carrier-imposed surcharges, so this can make the cash cost a bit higher than some awards. However, round-trip bookings do allow for a stopover and an open-jaw, so you can see more of Europe. 80,000 Korean Air miles can be transferred from 195,000 Marriott points, and 50,000 Korean Air miles can be earned from 120,000 Marriott points. 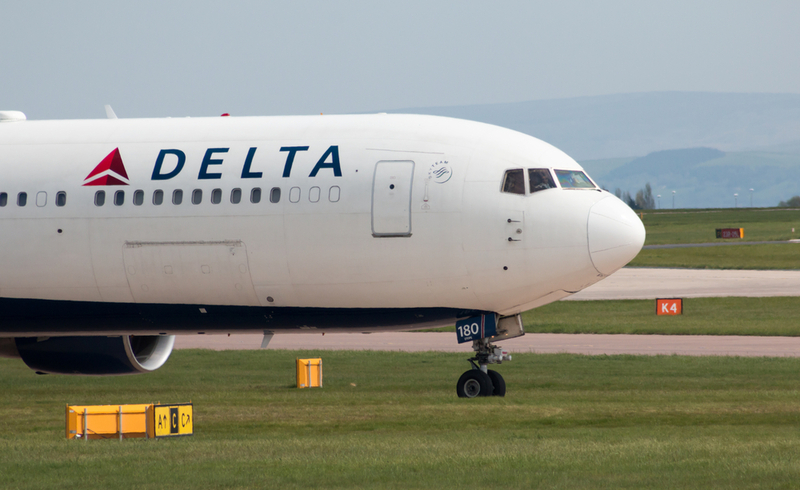 Need help using your Korean Air miles to book Delta One to Europe? Use our comprehensive booking guide to make it easy. 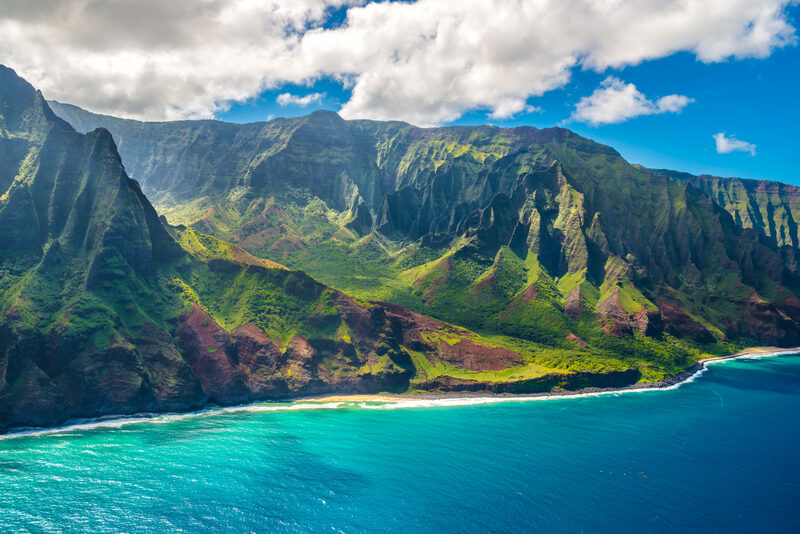 Use Korean Air miles to fly Delta to Hawaii for one of the cheapest ways to visit the islands. Image courtesy of Upgraded Points. Without a doubt, using Korean Air miles is one of the best ways to visit Hawaii. A round-trip economy ticket only costs 25,000 miles (60,000 Marriott points)! Most U.S.-based airlines will charge at least 5,000 miles more. 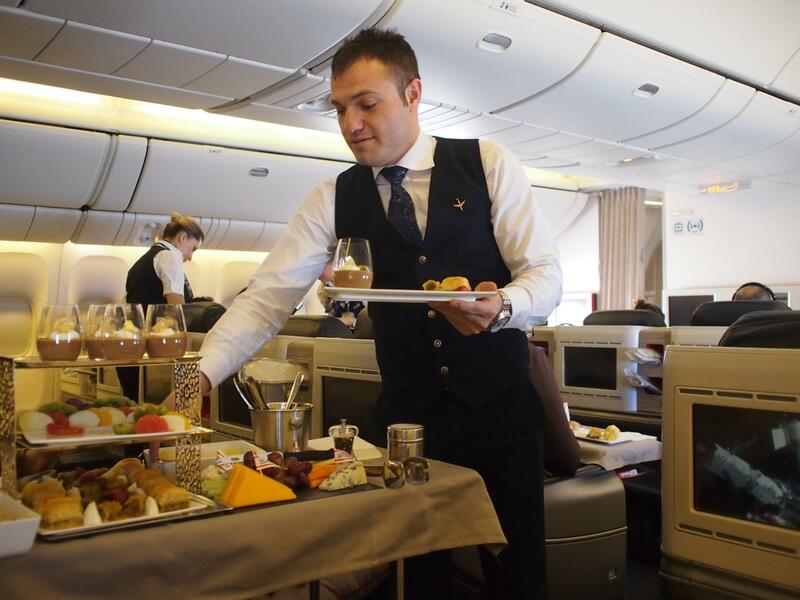 Fly Brussels Airlines in business class for 88,000 Etihad miles. Image courtesy of brusselsairlines.com. Redeem 88,000 Etihad miles (219,000 Marriott points) between New York City (JFK) and Brussels round-trip. You can also fly this route in economy class for 54,000 Etihad miles (132,000 Marriott points). If Toronto or Washington, D.C. (IAD) are more convenient, they are also eligible for the same redemption to Brussels. Availability can be tough to find, especially in business class, so we suggest planning ahead on this one. It’s definitely worth a little extra effort! Fly Czech Airlines from Prague to Seoul in business class for less than some airlines would charge for economy! Image courtesy of czechairlines.com. Flying Czech Airlines between Prague and Seoul is basically the Europe to Asia version of the Brussels Air options we just discussed. For only 25,610 Etihad miles (61,830 Marriott points), you can fly business class one-way. Considering that most economy flights cost more than this flight, you might as well check out this option when flying from Europe to South Korea! Royal Air Maroc is another Etihad partner you’ll want to learn about! Image courtesy of flight-report.com. The 2 previous Etihad redemptions are route specific redemptions, but their award chart for Royal Air Maroc is distance-based. We’ve done some digging and found a sweet spot redemption for you: fly between New York City (JFK) and Casablanca in business class for only 44,000 Etihad miles (117,000 Marriott points) or 22,000 miles (25,000 miles = 60,000 Marriott points) in economy. These are great one-way redemptions to get you to North Africa! Find a great business class product on an under-the-radar airline with Oman Air. Image courtesy of omanair.com. Oman Air doesn’t have the name recognition of some other famous international carriers, but their business class product is highly regarded by all who have tried it. If you want to give them a try, Etihad miles provide 2 award sweet spots you’ll want to check out. A one-way flight between London and Muscat is 44,000 miles (117,000 Marriott points) in business class, while a one-way business class ticket between Muscat and Singapore is only 42,000 miles (111,000 Marriott points). 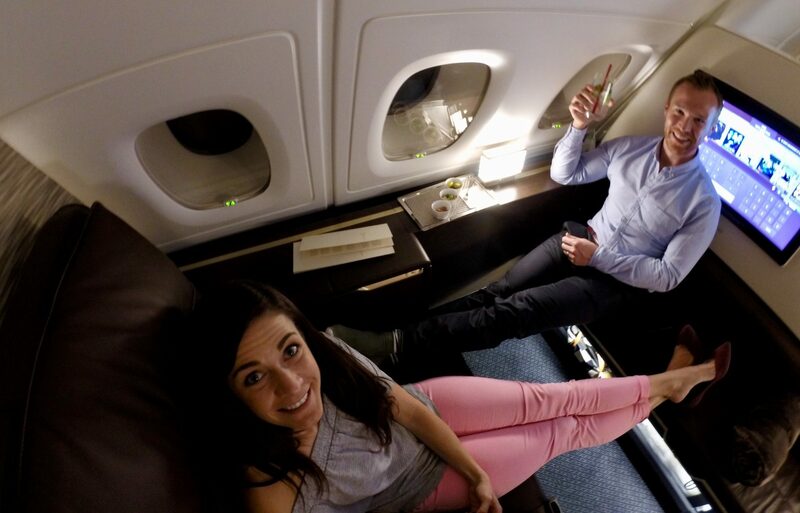 Etihad provides better redemption rates for business and first class on American Airlines. Image courtesy of American Airlines. American Airlines may have devalued their award chart in early 2016, but you can still get the old award flight rates by using Etihad miles. Need help booking? See our step by step guide for booking American Airlines First Class. Use your British Airways Visa Signature® card to earn a Travel Together certificate and fly first class with a friend. Image courtesy of Upgraded Points. If there’s one thing that people always seem to remember about British Airways, it’s that you should expect high taxes and fees. This is especially true for first class flights, even on award tickets. However, if you have a British Airways co-branded credit card, you can earn a Travel Together Ticket. To earn this perk, you’ll need to spend $30,000 on your British Airways Visa Signature® card during a calendar year. Here’s an example of how the Travel Together Ticket works: you could book a round-trip first class flight on British Airways from Los Angeles to London for an off-peak award cost of 170,000 Avios (420,000 Marriott points) plus about $1,500-$2,000 taxes and fees. For no extra miles, your companion can be booked in first class with you. They’re only responsible for the taxes and fees on their companion pass. 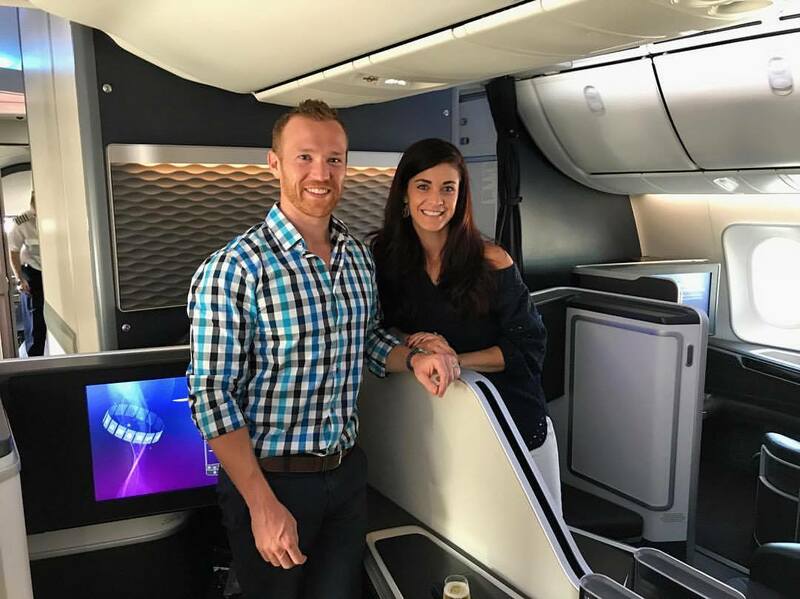 If you’re interested in learning more, we’ve got an example of taking this to the extreme in our trip report on BA first class, round-trip to England, for 2 sets of travel together tickets (4 people)! Use the British Airways Avios reward flights calculator. Need Help Booking? Read our guide to help you book British Airways First Class using points! If you need a short-haul flight while abroad, there’s a good chance Avios will be your best option. For flights 650 miles or shorter, you can book an economy class ticket for only 4,500 Avios (13,500 Marriott points). This can be a great way to see multiple cities in countries like Japan. In the U.S., flights that are 650 miles or shorter now cost 7,500 Avios (22,500 Marriott points). This can still be a solid deal, but abroad is where you will really maximize the value of short-haul flights with Avios. Flights to Hawaii are not cheap. Fortunately, Avios provide a fantastic option from the West Coast. You can fly either American Airlines or Alaska Airlines to Hawaii for only 12,500 Avios (37,500 Marriott points) one-way in economy class. 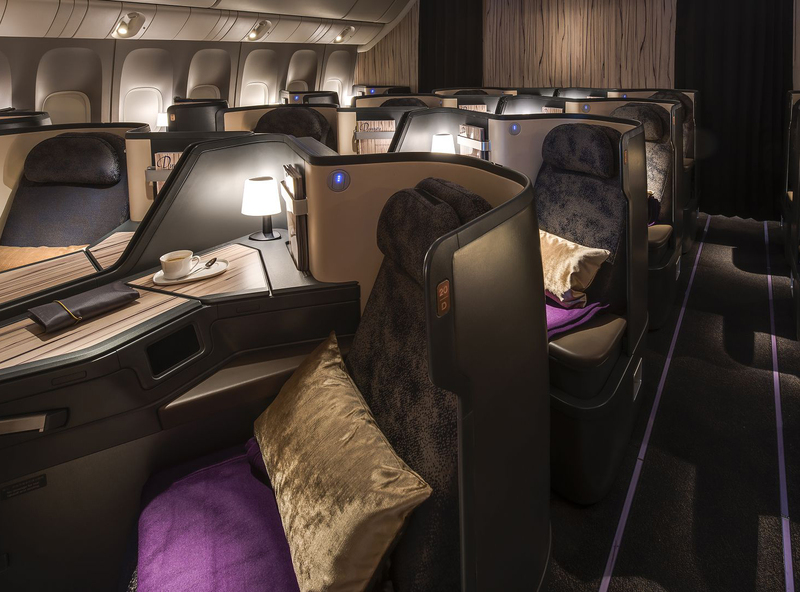 Try business class to Asia on China Airlines by redeeming SkyMiles. Image courtesy of china-airlines.com. SkyMiles are often knocked for not providing much value. If you know where to look, though, there are some fun routes to try. You can fly China Airlines in business class for 80,000 SkyMiles (195,000 Marriott points) one-way to Asia. If you have a stash of SkyMiles, give this option a look. For the curious out there, did you know China Airlines is a Taiwanese airline? Their headquarters is actually in Tapei. 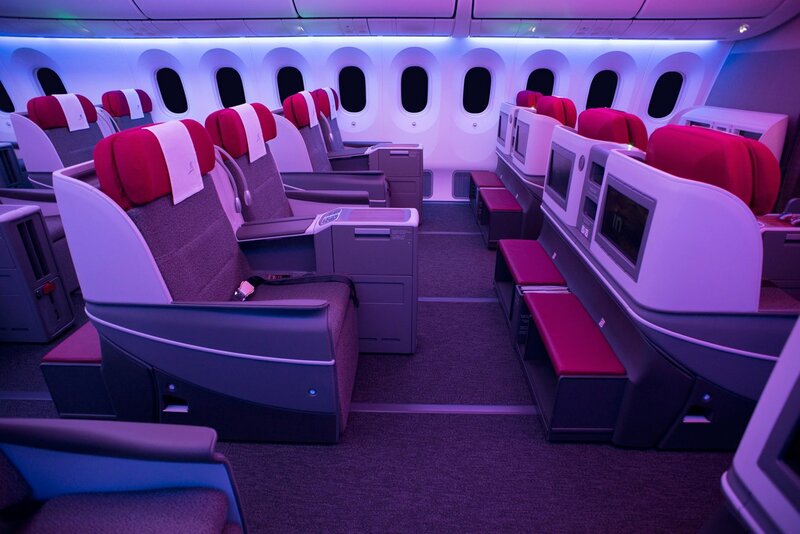 Known for its fun environment, Virgin Atlantic is a fantastic experience crossing the Atlantic Ocean. For 75,000 SkyMiles (180,000 Marriott points), you can try their Upper Class product. The advantage to flying Upper Class from the U.S. to Europe is that the taxes and fees will be very low. 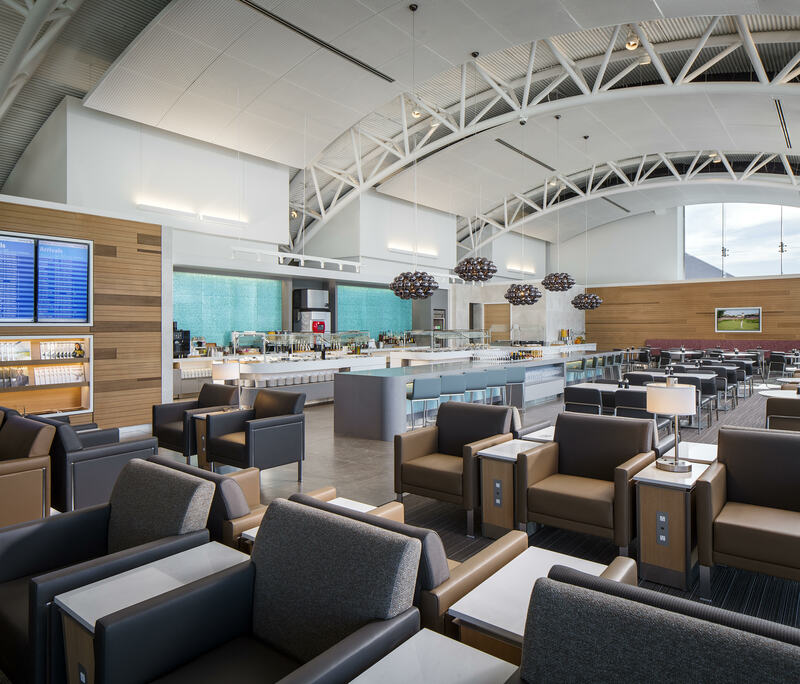 If trying the Virgin Atlantic Clubhouse at London Heathrow is on your bucket list, the increase in out-of-pocket cost could definitely be worth a fun lounge visit. Try ANA’s business class product on your way to Japan. Image courtesy of Ana.co.jp. Before we get into some fun ways to use ANA miles, there are a few important points to remember. Awards must be booked as round-trips, and some partner awards include significant taxes and fees. They also have regular and low season awards for flights operated by ANA, so you’ll want to book low season when possible as they require fewer miles. One particularly great part of their programs is that you can use a stopover and an open jaw. Now, let’s talk about flying ANA to Japan in business class. During regular season, you can fly business class on ANA for 85,000 miles (210,000 Marriott points) round-trip, and during low season you can do so for only 75,000 (180,000 Marriott points) miles. If you choose to fly a partner airline, it will always be 85,000 miles. Taking this trip in economy class will cost 50,000 miles (120,000 Marriott points) round-trip during regular season and only 40,000 miles (105,000 Marriott points) during low season. Need help booking? 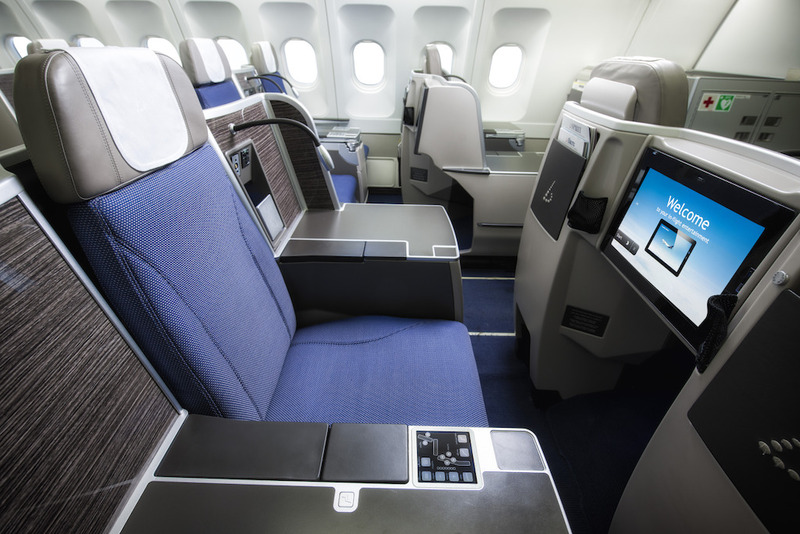 See our step by step guide for booking ANA business class. 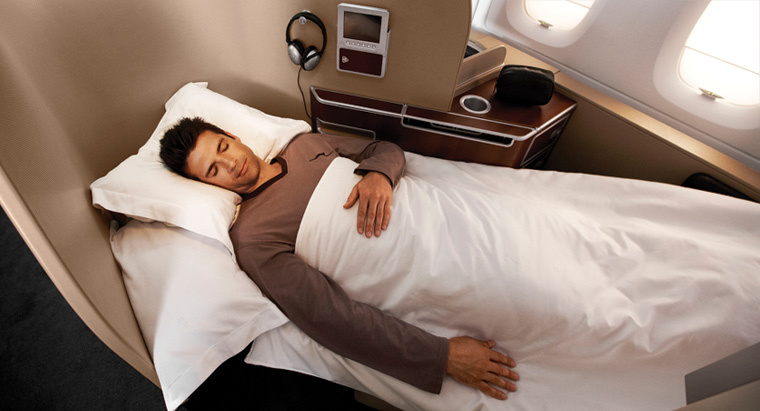 Use your ANA miles to try Etihad’s fantastic business class product. Image courtesy of Upgraded Points. While ANA is a member of Star Alliance, they also partner with Etihad. Since ANA & Etihad paused their normal partnership in December of 2017, you can only book flights that are codeshared. If you can find Etihad flights that codeshare with ANA, you will be able to redeem ANA miles for flights on Etihad. For only 104,000 miles (252,000 Marriott points), you can fly round-trip on Etihad to either the Middle East or Africa. You’ll pay 195,000 miles (200,000 miles = 480,000 Marriott points) round-trip for a first class redemption on Etihad. While this isn’t quite as amazing as the business class redemption, it’s still a great way to try Etihad’s highly regarded first class. If you fly out of New York City (JFK), you can try The Apartments, Etihad’s premier first class experience only available on routes serviced by an A380. Need help booking? Check out our step-by-step instructions on how to book Etihad business class! Round-trip business class tickets to Asia 1 are only 80,000 miles (195,000 Marriott points) during low season or 95,000 miles during regular season (100,000 miles = 240,000 Marriott points). An economy trip will cost 45,000 miles (120,000 Marriott points). Asia 2 business class award flights are only 100,000 ANA miles (240,000 Marriott points) during low season or 110,000 miles (270,000 Marriott points) during regular season, while an economy trip will cost 55,000 miles (135,000 Marriott points). If you’re up for a real adventure (and have a little time), ANA has an Around the World award chart. You can include up to 8 stopovers on this journey, 3 of which can be in Europe while up to 4 can be in Japan. Before you start booking, keep in mind that your journey must travel in 1 direction (east or west) and your trip cannot be less than 10 days. Additionally, you cannot use an open jaw in Latin America, North America, or South America. Because this is a distance-based chart, you can create a trip for as low as 20,000 ANA miles (25,000 ANA miles = 60,000 Marriott points) in economy if it’s under 2,000 flown miles. If you want to try something out of this world, you can create an itinerary that has you travel between 44,001 and 50,000 miles in first class. That trip would cost 450,000 ANA miles (1,080,000 Marriott points). 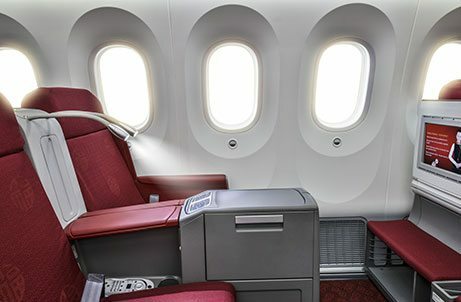 Try the amazing Lufthansa first class by redeeming Asiana miles. Image courtesy of Upgraded Points. Long a favorite of travelers around the world, the Lufthansa first class experience is one you won’t want to miss. With Asiana Club, you can fly from U.S. to Europe for only 50,000 miles (120,000 Marriott points). This award booking will incur some hefty taxes and fees, but for only 50,000 miles it’s still a great deal! To top it off, make sure you book a flight that allows you to experience the Lufthansa First Class Terminal — it’s a one-of-a-kind experience. Need help booking? 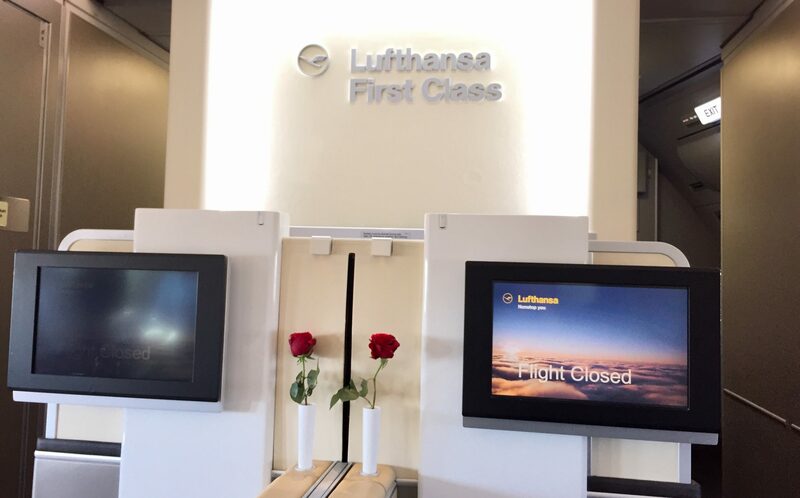 See our step by step Lufthansa first class booking guide. Air China’s first class presents one of the most luxurious redemption options for using your Flying Club miles. Image courtesy of thedesignair.net. Virgin Atlantic’s award chart isn’t high on many people’s list of favorites because of the high taxes and fees charged. Still, you might want to consider a first class redemption on Air China. You can fly first class round-trip on Air China for only 75,000 miles (180,000 Marriott points)! This redemption does include $700 in taxes and fees, but the low mileage cost makes this an option to consider. Use your KrisFlyer miles to try Singapore Suites, one of the best first class experiences in the sky. Image courtesy of Upgraded Points. 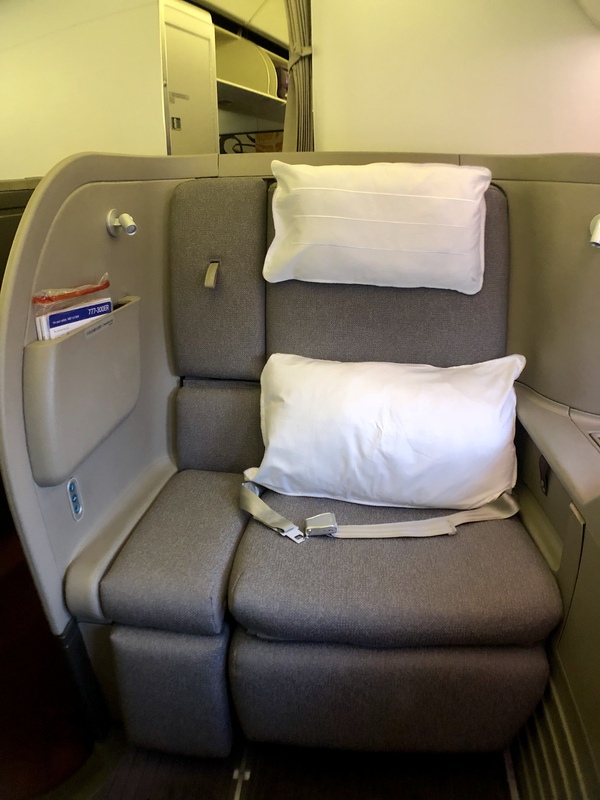 While there are several options to try Suites class on Singapore Air’s A380, the only option in the U.S. is between New York City (JFK) and Frankfurt. Without a doubt, Singapore Suites is one of the best first class experiences in the sky. From JFK to Frankfurt, you can try Suites for 86,000 KrisFlyer miles (213,000 Marriott points). If the 7-hour journey isn’t enough for you, fly from JFK to Singapore (with a connection in Frankfurt) instead for only 132,000 miles (321,000 Marriott points). For those who really want to have some fun, fly all the way to Sydney or Auckland (or vice versa). A Suites trip between Sydney or Auckland and New York City (with connections in both Singapore and Frankfurt) is 167,000 miles (411,000 Marriott points). Availability is often better returning to the U.S., so if you’re struggling to find award space for your departure, consider booking Suites class back to the states. If you need a domestic flight on United, your first thought is probably to book with United miles. 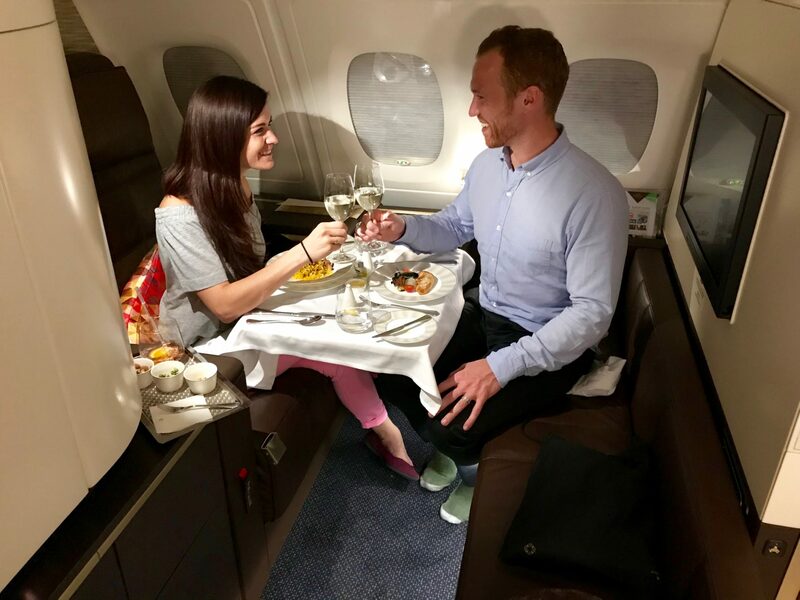 You could do that, but if you use KrisFlyer miles you could spend 20,000 miles (increases to 23,000 on April 16, 2019) (60,000 Marriott points will get you 25,000 miles) on a one-way business class flight instead of 25,000 United miles. You’ll still have to transfer 60,000 Marriott points, but you’ll be left with 5,000 miles extra! Fly United to Hawaii thanks to KrisFlyer miles. Image courtesy of Shutterstock. As one of the most popular destinations for travelers, we’re always looking for great redemptions to Hawaii. United charges 22,500, 40,000, and 50,000 miles for economy, business, and first class, respectively (increases to 34,500 in business and 46,000 miles in first class on April 16, 2019). You can do better by booking with KrisFlyer miles since it only requires 17,500, 30,000, and 40,000 miles for the exact same flights! This is equivalent to 52,500, 75,000, and 105,000 Marriott points. Aegean Airlines might not be the most well-known Star Alliance member, but you don’t want to overlook some of the great value in their award chart. One particular benefit to using Aegean miles is that they include North Africa and Israel in their European region. For these flights, you can use 60,000 Aegean miles (150,000 Marriott points) to fly first class one-way from the U.S. or 45,000 miles (120,000 Marriott points) to fly business class. This is a particularly great deal to Israel! Like many European carriers, you will be responsible for fuel surcharges, so that is something to consider. However, the low mileage cost could definitely make this a good option. One more thing to remember is that they only allow 1 connection on award bookings, so plan for that when putting together your itinerary. Why use United miles when you can get the same United flight for at least 10,000 miles cheaper? With Aegean miles, you can fly round-trip to the Caribbean for 25,000 miles (60,000 Marriott points) in economy class. You can also fly in business class for 42,000 miles (111,000 Marriott points). That’s 18,000 miles cheaper than United charges! These rates also apply to domestic flights on United. While the economy rate is the same as United, the business class rate will save you 8,000 miles. 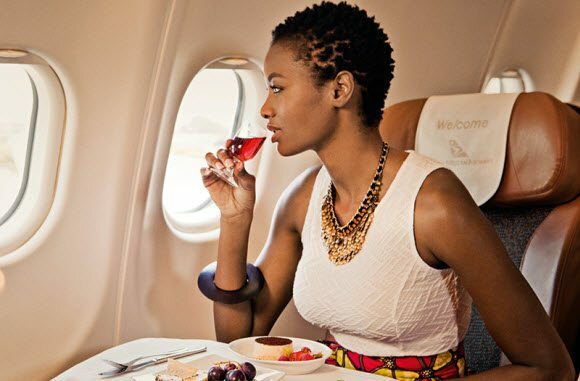 Enjoy South African Airways’ business class service while exploring the continent of Africa. Image courtesy of www.flysaa.com. If you’re looking for a great way to get to Central or South Africa, you can use 55,000 Aegean miles (135,000 Marriott points) for a one-way ticket in business class. For comparison, the same flight would cost 80,000 United miles. That’s a difference of 25,000 miles! Reaching provinces such as the Northwest Territories, Nunavut, and Yukon can be really expensive. We’re talking fares of $1,000 round-trip from the U.S — and that’s an economy class ticket. Fortunately, if you use Aeroplan, you can redeem 25,000 miles (60,000 Marriott points) for a round-trip ticket. This is definitely one of the better economy redemptions for a flight that doesn’t leave North America. 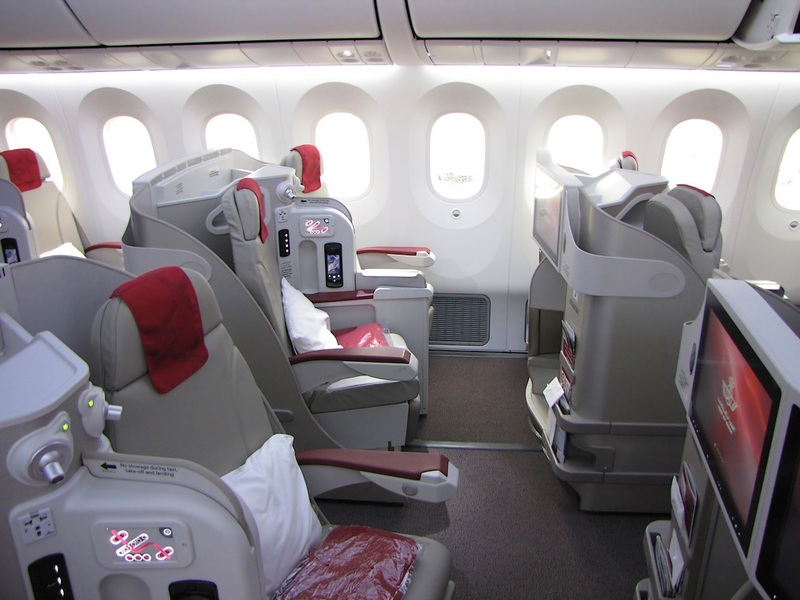 Business class fares can easily cost you over $2,000. Again, Aeroplan comes through with round-trip redemptions requiring only 50,000 miles (120,000 Marriott points). If you’re an adventurer, you will definitely want to keep this in mind before a trip way, way up north! Use your Aegean miles to enjoy amazing business class service on Turkish Airlines. Image courtesy of loungebuddy.com. While Air Canada’s Aeroplan program isn’t what it once was, it can still be a great way to get to western Europe. For 55,000 miles (135,000 Marriott points), you can fly one-way in business class from the U.S. to places like Paris, Copenhagen, and Berlin. If economy class is more your speed, you can book a flight for 30,000 miles (75,000 Marriott points). Award bookings with some of Air Canada’s Star Alliance partners do include some significant fuel surcharges, so consider that when using Aeroplan. Fortunately, award bookings with some partners — including Turkish Airlines, United Airlines, and SAS — do not include these fuel surcharges. Even with these annoying surcharges, Aeroplan excels as a program by allowing either 2 stopovers or 1 stopover and an open jaw. This makes seeing more of Europe much easier! Need help booking? Check out our step by step instructions on how to book Lufthansa business class! There are far too many great uses of Marriott points to count. As a transfer partner with over 40 airlines, Marriott points are definitely among the most valuable rewards points in the world. 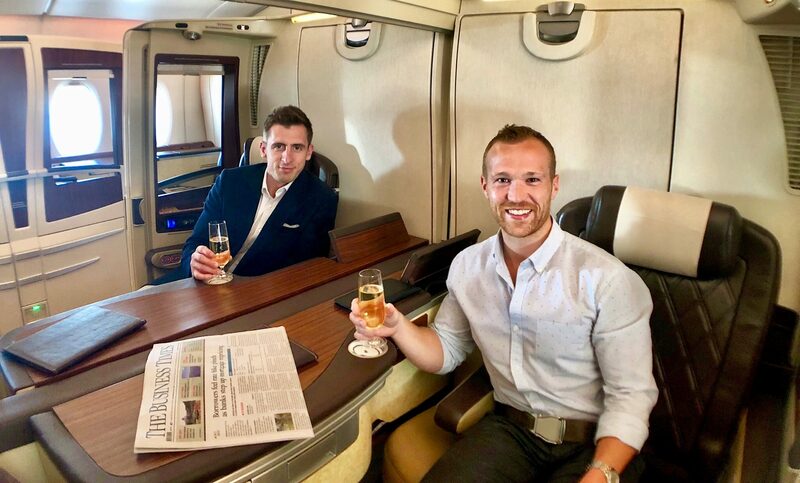 There’s so much value to be had when using Marriott points, from flying on Emirates first class to Lufthansa first class! Now you have the full picture on the best ways to redeem Marriott points for flights. When do Marriott points expire? Marriott points won’t expire if you have any qualifying activity within 24 months, which includes earning points through a co-branded Marriott credit card or redeeming points for an award stay. What hotels does Marriott own? Marriott properties include JW Marriott Hotels, Autograph Collection hotels, Marriott Hotels, Courtyard, Renaissance, and more. Can you upgrade your room with Marriott points? Yes. You can use Marriott points to upgrade both paid and award stays. How many Marriott points do you need for an award stay? Award stays start at 7,500 Marriott points per night for Category 1 hotels and increase to 85,000 Marriott points for Category 8 hotels. When peak and off-peak pricing is introduced in 2019, award stays will range from 5,000-100,000 points/night. Can Marriott points be transferred? Marriott points can be transferred to airlines, but at a relatively poor rate. You’ll get the most value out of your points by booking award stays at Marriott properties. What credit cards earn Marriott points? The Marriott Bonvoy Boundless™ Credit Card and the Marriott Bonvoy Business™ American Express® Card earn Marriott points directly. You can also earn Marriott points by using cards that earn Chase Ultimate Rewards. These are often even better ways to earn Marriott points since you can take advantage of bonus categories. Not sure when this post was made, but looking on April 17, 2018 I know that at least two of your properties are at higher categories. The MOXY Milan Malpensa Airport (Category 2) – is now a (Category 3). The JW Marriott Phu Quoc Emerald Bay Resort & Spa (Category 5) is now a (Category 6). Thank you for letting us know! I’ve updated the article to reflect the new category level for each property. I’m confused but my question is simple. Are American Express Membership Rewards or Marriott Rewards points better to transfer to Emirates Skywards? We believe that American Express points are better to transfer to Emirates because of the 1:1 ratio you can transfer at. Marriott transfers at a 3:1 ratio and it’s harder to earn Marriott points versus American Express points. Thanks for reading! The mileage cost is based off of Alaska Airlines miles costs. Visit this link, enter your destinations, and find out your costs to get a better idea of how many Marriott points you’ll need to transfer.